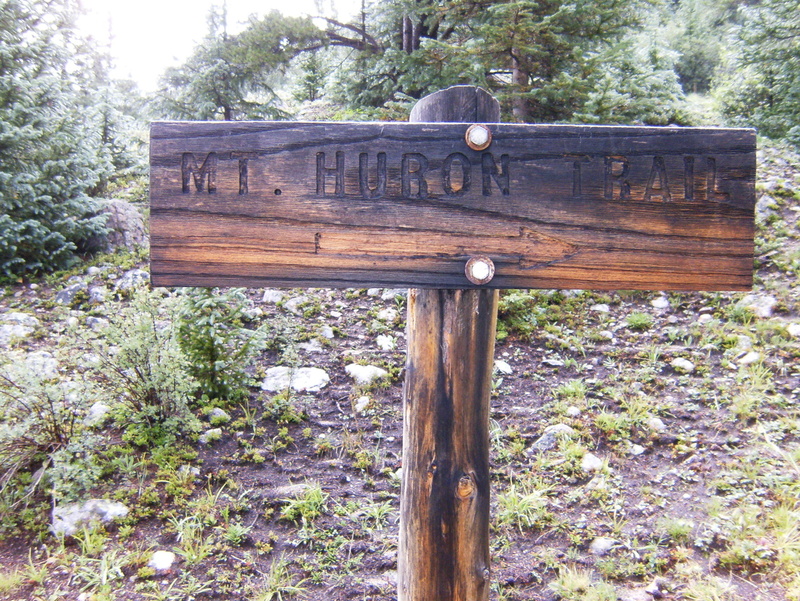 Saturday was the main event – our attempt to climb the 14,003′ Mt Huron. 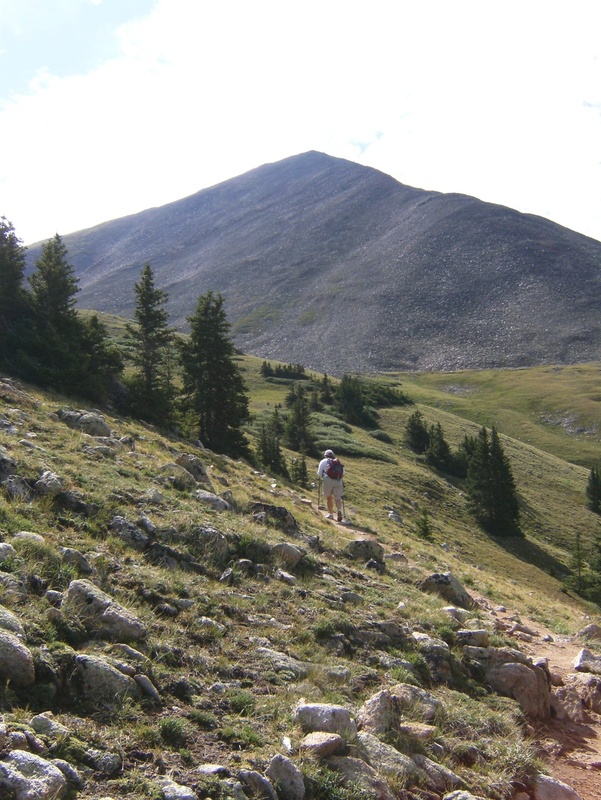 This is considered to be about the easiest of all the 14er climbs, but that doesn’t mean that it’s actually easy, and especially not for a bunch of low-landers like us. 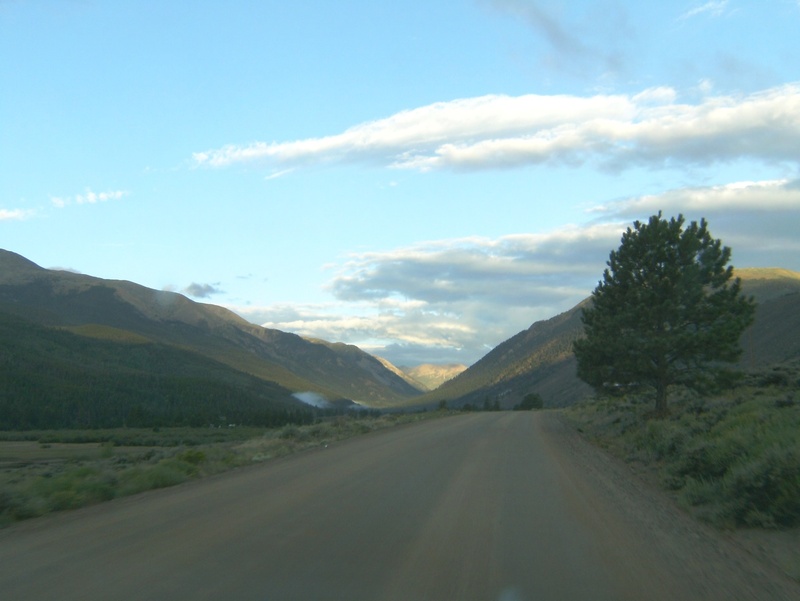 The road to the trail head is about 12 miles of dirt & gravel with major washboard but is passable by any vehicle. There are many camping areas along the way. Once at what is called the 2-wheel-drive parking lot the road gets much worse, and it’s 1.5 to 2 miles of one-lane road further to what is called the 4-wheel-drive parking. We got past the 2WD area but soon came to an area where we were driving slower than we could have walked and the risk of mishap seemed to be increasing. There was a clearing alongside the road that could accommodate both of our vehicles so we decided we better stop there. While gearing-up at about 7:30 AM the temperature was in the low 40s – something none of us had felt in quite a while and quite a departure from KC, so out came the fleece. During the walk to the trail head we observed that if we had driven just a bit further the road got much better again and we could have gotten all the way in. Oh well, now we know. 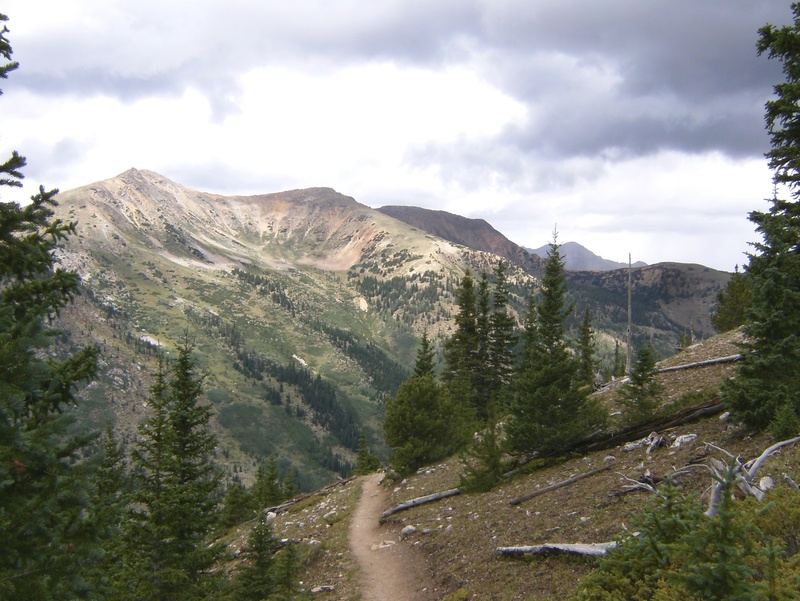 Like all other Colorado trails, it seems, this one starts with a series of switchbacks. These go on and on almost forever, climbing about 2000′ and above tree line before finally leveling-off in “the basin” at about 12,250′. There is a small lake here and also a couple small streams still draining snow melt. I ran out of gas long before I got here and wondered if this was the end of the line for me but after some food and rest felt like I could push on further. 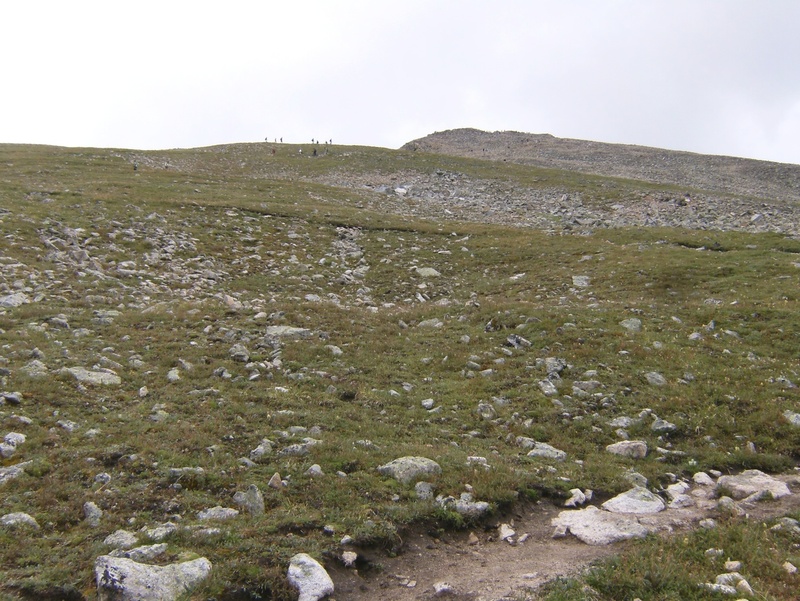 On the far side of the basin you go up some stone stairs that were apparently intended for someone 9 feet tall, and then more switchbacks, this time going up a long grassy slope toward the summit. I think I made it to about 13250′ when it started sprinkling and I heard thunder in the distance. I could see many people leaving the summit above and figured I better turn back too. I already had scenery and experiences that previously existed only in other people’s pictures and memories so I was pleased with what I accomplished even if I didn’t reach the top. Before I even got back down to the basin, the clouds had parted and the threat of lightning seemed long past but I couldn’t bear the thought of climbing that slope again to take another stab at the summit. I ate some more and waited for 4 of my colleagues to come down – they had made it to the summit. 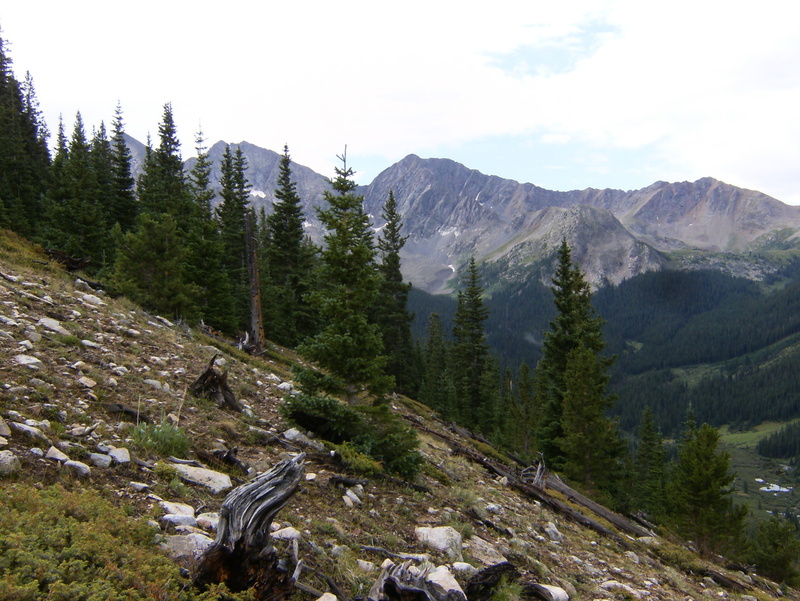 We hiked down and stopped in Buena Vista for dinner, then back to camp and a good night’s sleep. Early Sunday it was about 55 degrees when we left for home, and almost 110 when we arrived in KC. A bad view of a group called Three Apostles. Individually named Paul, John, and Ringo, I think. The basin. Yeah, it’s late July and I’m wearing fleece, and that really is snow in the center of the picture on the side of the peak. 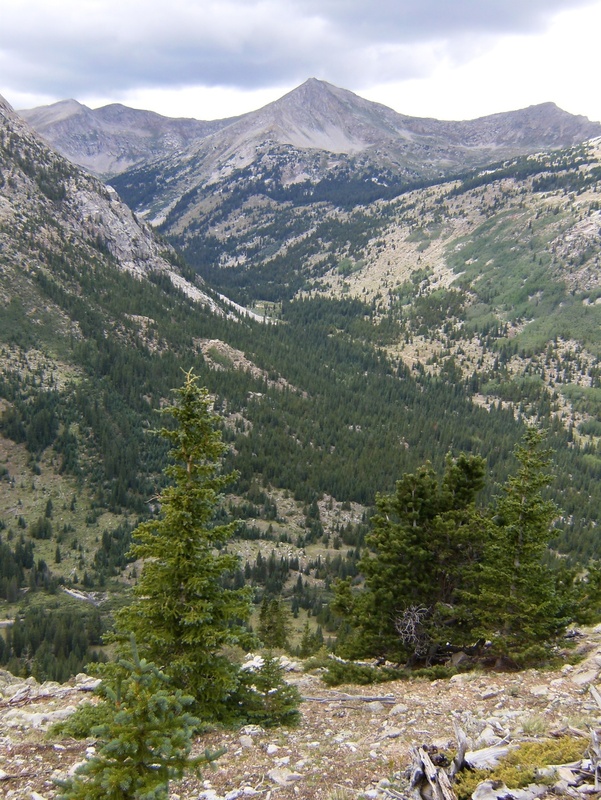 Looking toward the summit from about 13250′ – as far as I made it. 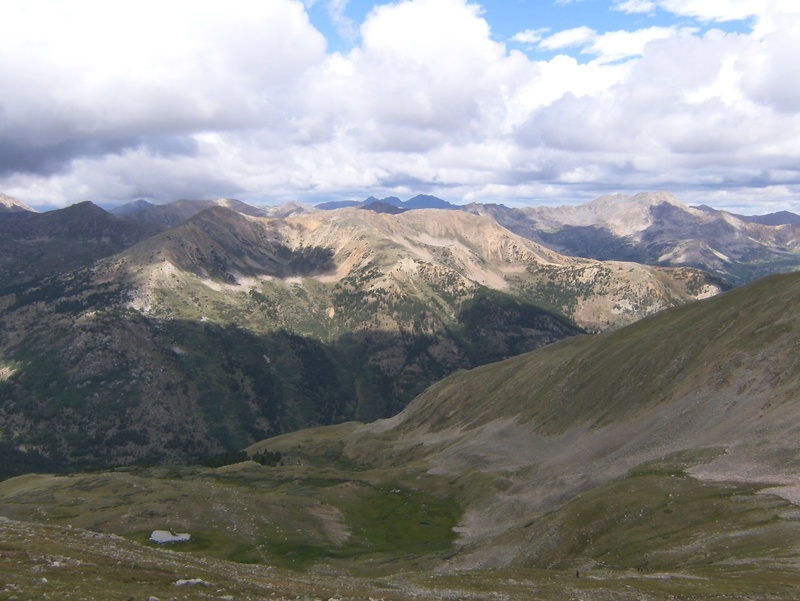 Looking back at the basin from about 13250′. The lake in the lower left looks pretty small from here. On the way back down, headed into the switchbacks. We started climbing from the trail head at the bottom of this valley. 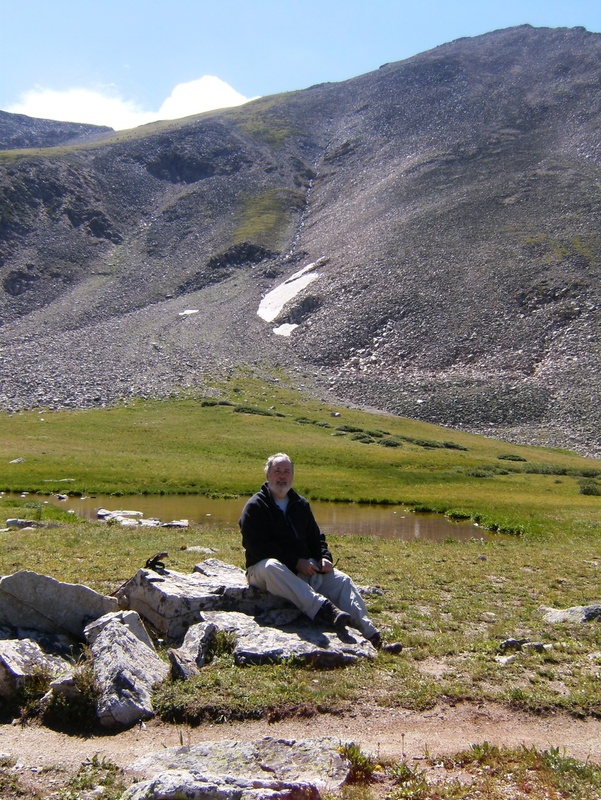 This entry was posted in Uncategorized and tagged Adventure, Colorado, Hiking, Rocky Mountains. Bookmark the permalink.